(Formerly the XSI Mod Tool) A completely free version of the Autodesk Softimage modelling package. Plugins for Source, CryEngine 2, Unreal Engine 3, XNA, Unity, and more are available. Softimage Mod Tool 7.5 exports to the Microsoft XNA development platform and add-ons are available that enable export to CryENGINE 2, the Source engine and Unreal Engine 3. Softimage Mod Tool 7.5 also exports Autodesk FBX software and COLLADA files for engines that support it. For aspiring game artists – Softimage Mod Tool 7.5 is tailored for aspiring game artists to get started with professional tools to help create 3D characters, props, levels and animation for games. Training from Noesis Interactive – Softimage Mod Tool 7.5 comes with training from Noesis Interactive covering the creation of a character in Softimage Mod Tool 7.5 and exporting it for use with Microsoft XNA. For game developers – Softimage Mod Tool 7.5 game developers extend the life of a game by helping to build a community of modders. Been trying to learn xsi, and being able to use it easily with the xna and hl2 is pretty amazing. For free educational purposes of course :P.
XSI has given the modding and game developers community a huge advantage by letting people learn how to make content for games by creating mods for free. Well, believe it or not, XSI Mod Tool can be set up to work almost exactly like Maya PLE (remember those days?). There is a preset where you can go to File > Interaction Model > Maya, then you'll be able to control Softimage as if it were Maya PLE. For the top shelf (the area where you can switch between tabs for primitives, rendering, animation, materials, selections, interactions with shapes, etc..., go to View > Toolbars > Main Shelf to bring that into the interface. That's how I've been using Mod Tool, and I don't regret it. Certainly an easier modeling app than Blender, even with the 2.6 versions (although Blender is still way easier to use than it has been). 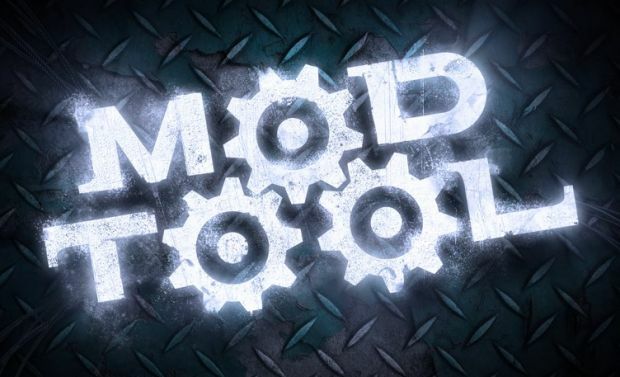 Hey guys, I have recently downloaded this mod tool and when I opened it, it said checking file integrity or something like that, and after that it said, the file was corrupt and to obtain a new copy. Since the file seems corrupted all you can do is re-download it, since it seems that something went wrong with your last one. Or maybe you know someone, who have already downloaded it and you can ask to give you a copy? Hey can you do me a favour, Zip ur softimage exe and post it on hotfile, or torrent please? Great, no .obj export with this version, thanks autodesk ! I think it requires the Unreal Development Kit, but that's also free, so it shouldn't be much trouble. What? This is the stupidest thing i've read all day. This has NOTHING to do with UDK. It was made free for source mods and then for XNA. You don't need anything to run this. It also can work for UDK, but you don't need it for this to work. i think you can use files from UDK, source SDK, and Cryengine2 SDK. with this program I could make changes to BioShock 2? Depends on what you mean by changes. Softimage Mod Tool is used for 3D modeling, so you could change how the weapons look, and enemies! But probably not entire mods. So, will I need a plugin to open half life 2 models? Every time I try to install this, it works, but I can't find where its saved! I've got a Windows Vista, I downloaded from filefront, and I have bell internet security downloading software. HEEEEEELP! Right now, I'm looking through the Autodesk .FBX plugin archives hoping to find which exporter plugin would be most compatible with XSI Mod Tool 7.5. Would this be the XSI 4.2 or XSI 5.0 plugin? Also, to make the .FBX files more compatible with either UDK or Unity, I'm assuming I would need to download the FBX 2012 Converter as well? Just curious. Whenever a person needs something, it is best to go to the direct source when possible. Here is the link to XSI Mod Tool 7.5 from the new home for XSI Autodesk. I hope this helpos anyone having download difficulties. They require a short contact form you need to fill in, otherwise, smooth process. your download mirror goes to an advertising screen that wont allow you to get to the download. might be helpful to fix this.. I have a question on how to download this, I probably sound horribly stupid right now, ahaha. When I downloaded it the first time it worked great but after I finished all the downloading and got on the program it asked me if I wanted to update and after I clicked yes it wouldnt let me use the program anymore. If anyone would help me that would be amazing! does this work for Sins of a Solar Empire rebellion on windows 7 x64? this version work with the latest versions of source? Thank You!, it seems as if it wasn't modbd I wouldn't got this far in any modding attempts, it isn't easy as it is, is it?. I love to model in both hi & low poly so it may as well be for this right?.